These resources are a perfect way to support your use of selected textbooks in the classroom. Supplemental materials include videos, case studies, lecture slides, tests and quizzes, chapter summaries, and discussion questions. 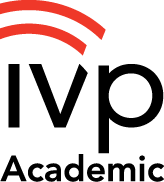 Only confirmed instructors can gain access to IVP Instructor Resources. Just click the button below to fill out a quick form and request digital delivery of these free materials. These IVP Academic titles have Instructor Resources available for download. Browse the titles here, then use the button above to select your books and request your free supplemental materials.